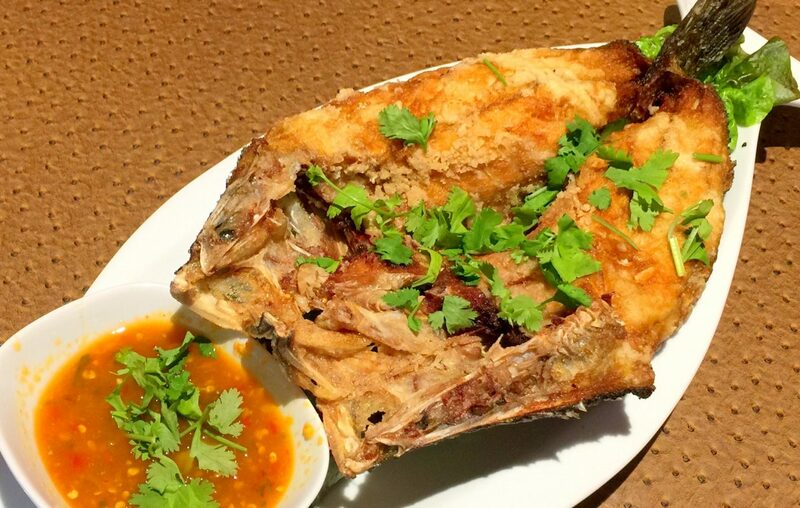 Here's a fish fry you didn't see coming: a whole fish laid open like a book. Your choice of sea bass or red tilapia ($23), mostly deboned, dipped in flour to augment the crunch, and fried to a crisp. At Lin Restaurant, 927 Tonawanda St., it's hidden at the bottom of the Thai specialties section. T25, crispy sweet and sour fish, which in its Thai guise gets covered with green bell peppers and pineapple, with a sweet, tangy sauce. Go that way if you like, but a more rousing ride is asking for your fish Burmese style, fried with lime chile sauce on the side, as above. There is a brutal beauty to the sauce, a balance of bracing citrus and fiery chile funk, that raises the entire plate, delivering flavor that's off the scale. Enjoy it with a textbook dish of le peth thoat, tea leaf salad ($7), and maybe some chicken biryani ($12), fragrant rice pilaf laced with fried onions and cashews.